Full Description: Two Photographs from the Smithsonian Institution, Washington DC, USA. 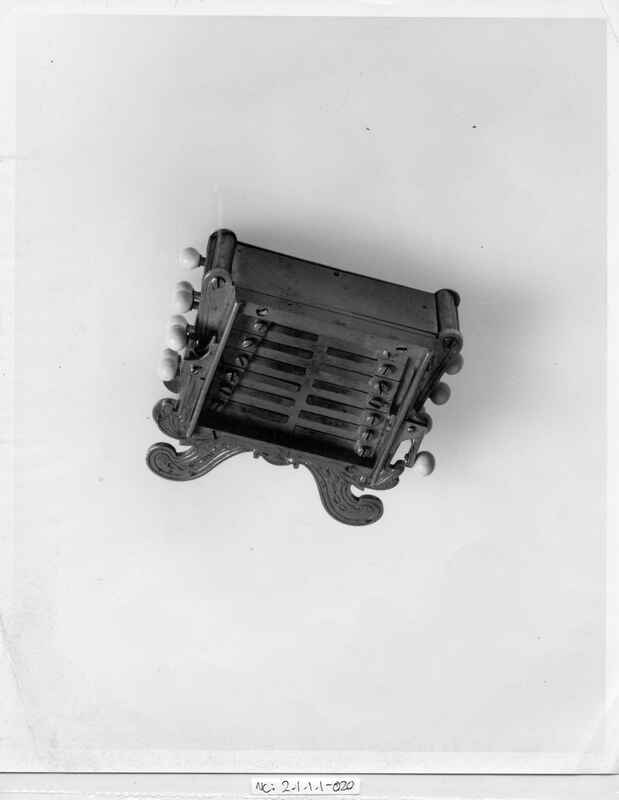 One of a 24-Key Symphonium, (Smithsonian No 75891, CMC No C718) One of an 1844 Patent Wheatstone "Duett" rectangular concertina (Smithsonian No 75894, CMC No C720). 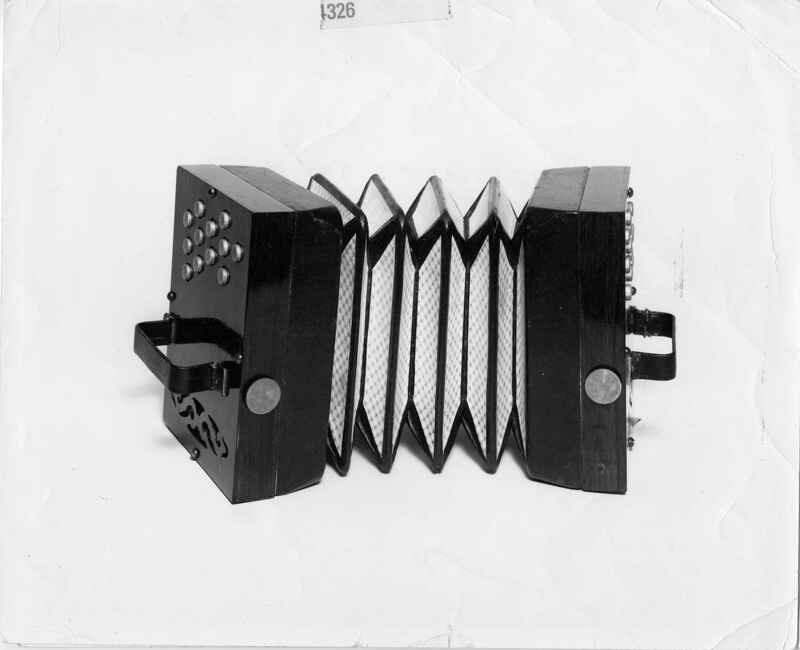 For The Collection's "Duett" concertinas, see Items C.094 , C.095 , C.096 and C.097.